The way you instinctively behave and react to important situations, the skills you use when realizing your ambition. You can either choose to live life in a predictable way, taking the easiest options or decide to achieve something of value. Discover the best approach and how you can fine-tune the way your life develops over the coming years and throughout the rest of your life. See how your sensitivity and relating skills improve and help you make the most of your abilities, finding inspiration that will motivate and challenge you. The things you value most, how you communicate with others, your attitudes and beliefs, how you adjust to the challenges over the years ahead. 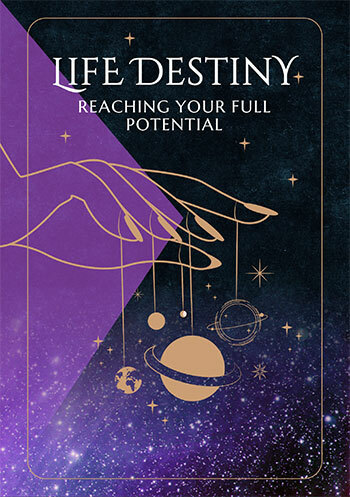 If you have never had an astrology chart interpreted before, now is the time to get your own personal Life Destiny interpretation.